For the month of October, Beading Divas to the Rescue is excited to be fundraising for PAWSitively Cats here in Tucson. At present PAWSitively Cats has more than 200 felines in the shelter, including about 80 adoptable cats, 80 special needs cats, and 40 Feline Leukemia cats. They also have a foster program to rescue at risk-kittens and cats from Pima Animal Care Center. PAWSitively Cats always needs more volunteers to help with shelter cleaning, adoptions, and loving the kitties! If you are not in a position to adopt a cat, please consider sponsoring one of their permanent resident special needs kitties. 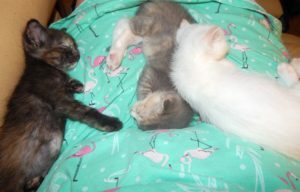 These three little sweeties (pictured above) are PAWSitively Cats’ newest bottle baby rescues. They were taken from their mother way too soon and dropped off at PACC. Their mama had been taking good care of them. They were in very good condition and had full tummies. Without an experienced bottle baby foster, their outcome would have taken a turn for the worse very quickly. Fortunately, PAWSitively Cats was able to rescue them and give them immediate care. They are healthy and growing rapidly under the loving care of their human foster mama. In the past two months PAWSitivelyCats has been able to rescue and place 12 bottle babies thanks to our fabulous foster families. 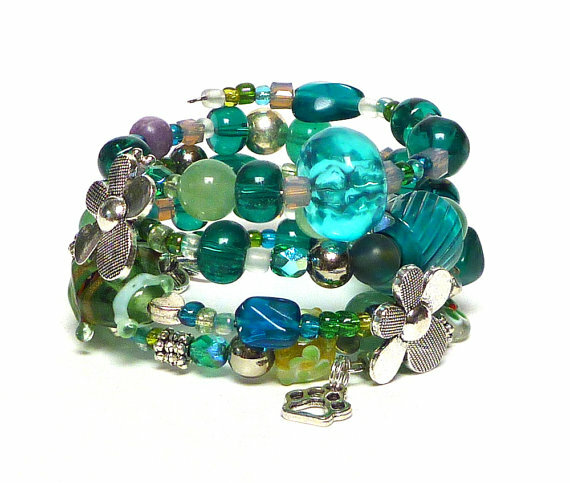 Beading Divas bracelets are handcrafted one-of-a-kind made with donated beads and a dangling paw charm. Bracelets make great gifts. All bracelets cost $20 (no tax) and $18 or 90% is donated to PAWSitively Cats. You can buy them online via Etsy. Shipping & handling is based on destination. –Every Saturday between 11 AM – 3 PM, PAWSitively Cats will be selling bracelets at Petsmart (Grant/Swan) during October.